It’s been a while since I uploaded a post here on Korean Insight. I apologize for the delay on updates. Lately, I have been focusing more on my other blog, or a “portal” concentrated on Korean online game sector. Korea Game Watch began with the idea that there is a need for media that works as a bridge between Korean game developers and foreign publishers/distributors that want to export/import games abroad. Despite the huge popularity of Korean online MMORPGs and FPS in the global game market, there has not been a “total” media service that provides quick updates on Korean game industry to foreigners. For now, we are focusing more on our role as a news outlet (the site is in its beta stage now), but we plan to gradually expand our services in the upcoming future, providing services that incorporate professional insights and information. Some of the services we are preparing to launch include market research data, in-depth market analyses, feature articles, exclusive interviews with development studios, and a comprehensive overview and breakdown of game publishers and developers in Korea. Here is an introductory word of note from Korea Game Watch. Korea Game Watch captures the live images of Korean online games, their developers and the entire market for investors, companies and media overseas. This site also services professional market research and bridges business affiliation for clients outside Korea. Since the success of Nexon’s “The Kingdom of the Wind” in 1996, Korea’s online game market has developed atop wide and solid Internet infrastructure. Thereupon, a spectrum of game genres, from MMORPG to web games, has been favored and feedbacked by a number of users. As a part of this rapid growth in game industry, a unique “e-Sports” culture has evolved, thanks to such foreign games as Starcraft. Especially, recent advancement in worldwide broadband system allows Korean online games stand unchallenged in global markets, especially in China and Japan. Until recently, however, language barrier has blocked business entities abroad from gaining insights on Korea’s dynamic market, company information, connection with Korean developers or publishers, and communication on business promotion. Korea Game Watch is now here to jump over those limits. Korea Game Watch will cooperate with potential partners in their market entries and participation in game conferences or events. Asia’s Largest KGC 2010 – Games Are Alive! Still Can’t Get Over the World Cup? Please enjoy, and wait for the next update on Korean Insight! How will KMI impact the telecom industry in Korea? To continue with our last post and give a preview on what will be our next post, I will briefly explain how the launch of KMI consortium will impact the overall telecom landscape in Korea. How will the arrival of a fourth MNO affect the telecom landscape? With KT launching its first MVNO services, which are not yet complete MVNOs themselves in that they only offer either data usage service or voice call service, the idea of a fourth MNO in Korea seems to be gradually turning into reality. Soon, mobile phone users in Korea will have more options to choose from, compared to when they had only three choices: SK Telecom, KT, or LG U+. In addition, the advent of KMI (Korea Mobile Internet), a MNO that will be based on mobile WiMAX network and one that will generate many other MVNOS there forth, is imminent as well. Well, in other words, with more choices for consumers, no more oligarchy among three MNOs. No more unreasonable price plans or phone bills. The more MNOs or MVNOs there are, the greater the public good, the more consumer benefits. One thing to take into notice, though, is the saturated telecom market. Regarding this, the Telcos will have to find their own ways of survival out of the market congestion, whether they be an adoption of a 4G mobile technology, such as LTE, or a B2B strategy that goes beyond the present telecom service. In our next post, we will deal with how SKT, KT, and LG U+ are propelling their own 4G mobile technology strategies against the rise of MVNOs and KMI. After all, as KMI will be utilizing the WiBro network, MVNOs generated from KMI will have an edge over the MNOs of present 3G networks in terms of data service. 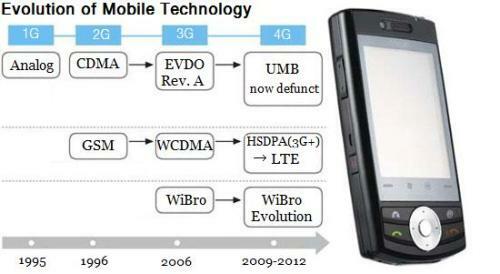 Thus, it’s about time that the rest three MNOs started propelling their 4G technology development. In addition, we will also take a look at the ways in which KMI should differentiate itself from other MNOs to reap success in the market, and how these changes will affect the telecom industry. Korea Mobile Internet, the next MNO in Korea? From our analysis of keywords that led traffic to our Korean Insight website, we were able to notice an increasing demand for information about KMI. KMI is short for Korea Mobile Internet, a consortium that consists of various companies willing to invest in WiBro (aka mobile WiMax) network as next-generation mobile technology. The consortium plans on developing and establishing a nationwide WiBro network to provide mobile networking service, such as mobile broadband and mobile voice calls. Those corporations participating in the consortium will be able to utilize the network for mobile telecommunication, thus spawning forth a series of MVNOs in the near future. Now that proximity of a month has passed from the day our last newsletter was written and sent out, a few changes have taken place to alter some minor details of KMI. 1) Previously, it was covered in veil as to who was participating in the consortium as investors. The tentative list, though, has now been disclosed to the public as KMI has officially registered applications to Korea Communications Commission (KCC) for approval of MNO business. It turns out now that Samyoung Holdings Co. has nearly 20% of the entire KMI share as an investor although recently there has been a controversy over whether Samyoung Holdings Co. will be “kicked out” from the consortium or not. Regarding the matter, we will have to wait and see how everything turns out. Indeed, the list really is tentative for now. 2) As for Samsung Electronics, they will be investing in KMI in kind as Samsung (as well as Intel) is a vendor of WiBro equipments. After all, Samsung and Intel together are currently working on WiBro Evolution, a form of 4G technology next to LTE and UMB (which Qualcomm had once been developing and given up at the end of 2008). 3) In the case of MSOs, there was a word that KCT (Korea Cable Telecom), a nationwide consortium of seven cable operators (MSOs) providing home VoIP service, was to take a share in KMI, but there isn’t any news pertaining to KCT as of now. It is probable, though, that KCT will have enough motivation to start a MNO business anytime soon, because of the continuous pressure that comes from the telecom industry’s customer “lock-ins.” LG U+, for instance, recently merged its subsidiaries, LG Dacom, LG Powercom, and LGT to provide consumers with combined telecom services at a discounted price. Olleh KT and T are similar cases. MNOs often partner up with fixed line services (for example, KTF with KT, and SKT with Hanaro Telecom, now known as SK Broadband) so that they will be able to provide FTTH broadband service and IPTV service, all the while possessing an ownership over fixed lines and transferring landline users to “070 Internet/VoIP phone” service. In order to utilize 2.5 GHz range now allocated for WiBro service usage, KMI must apply for the frequency range within three months of the allocation notification by KCC, which will be the end of this November. In November, KCC will go through frequency usage plans submitted by various businesses willing to utilize WiBro service, including KMI consortium, and by December, KCC will complete its frequency allocations for 2.5 GHz WiBro service.